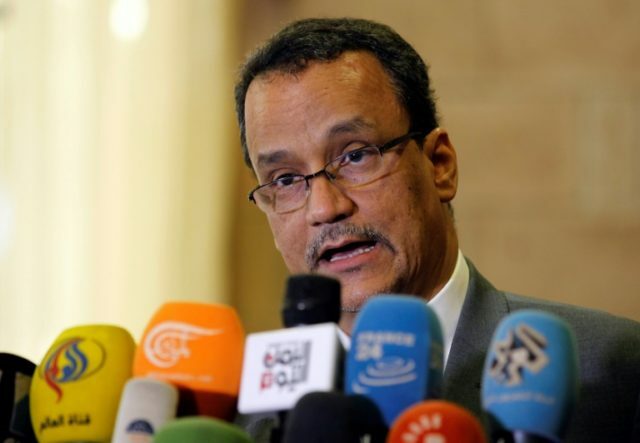 Dubai (AFP) – The UN Yemen envoy Ismail Ould Cheikh Ahmed will step down as top negotiator for the war-stricken country next month, the international body announced on Monday. A statement released by the United Nations did not name a successor for Cheikh Ahmed, who was appointed special envoy for Yemen in April 2015. Cheikh Ahmed “does not intend to continue in his position beyond the end of his current contract ending in February 2018”, the statement said. In nearly three years as Yemen envoy, Cheikh Ahmed oversaw multiple rounds of UN-brokered negotiations between warring parties in Yemen — all of which failed to yield a detente in the violence that has claimed more than 9,200 lives since 2015. In May 2017, his convoy came under fire in the Yemeni capital Sanaa, which is controlled by the country’s Iran-backed Huthi rebels. The Huthis never claimed the attack and have accused Cheikh Ahmed, and the UN, of bias towards Yemen’s Saudi-backed government. In March 2015, shortly before Cheikh Ahmed’s appointment, Saudi Arabia and its military allies intervened in the Yemeni government’s fight against the rebels, who control the capital, much of northern Yemen and a string of Red Sea ports. While both parties in the war stand accused of human rights violations, the Saudi-led military camp in particular has drawn criticism from the UN for civilian deaths as well as a crippling blockade on rebel-held ports and the country’s international airport. The UN has described Yemen as the world’s largest humanitarian disaster, calling for $2.96 billion to combat imminent famine as well as cholera and diphtheria outbreaks in 2018.